Monthly product posts are one of my favourite ways to discover new products and generally see what everyone else is loving. In fact, a couple of the products featured here were widely enabled by other beauty blogger favourites. So, let's get started... First up, skincare. I recently visited the Charlotte Tilbury store in Covent Garden - if you haven't been you MUST! After swooning over all of the rose gold goodness I came away with the Gift of Goddess Skin kit, which includes the Goddess Skin Clay Mask, Wonder Glow Primer and Magic Cream. I've really enjoyed using all three products but it's Charlotte's Magic Cream that has exceeded my expectations. It's possibly the most hydrating moisturiser I've ever tried and it left my skin visibly smoother and fuller in just one use. The Night Cream has recently launched too so I'd be interested to try that to see how it compares. 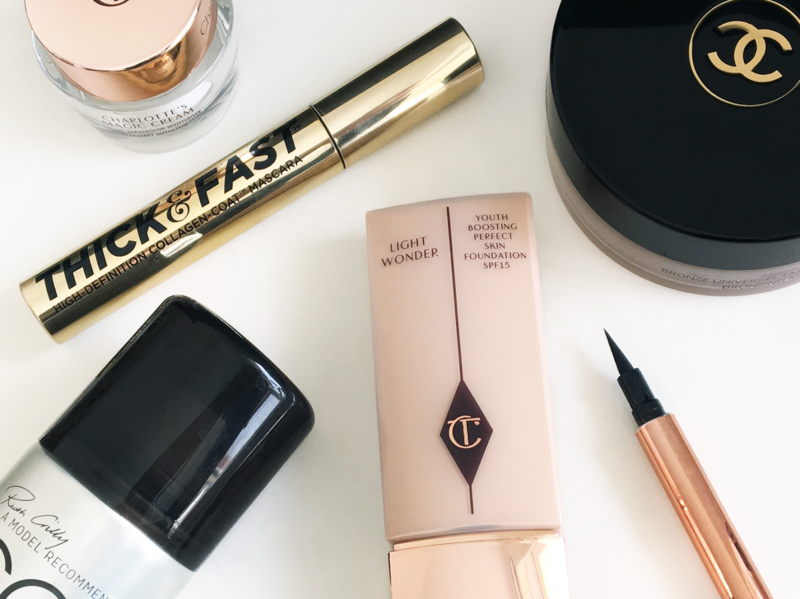 Another Charlotte Tilbury product to make the cut this month is the Light Wonder Foundation. It's a lovely lightweight, medium coverage foundation with the added bonus of SPF 15. Paired with the Wonderglow Primer, this foundation really does give a youth boost and leaves my skin feeling light and dewy. I can see myself liking this even more when Spring arrives and I get a bit of colour back in my cheeks. Keeping on the Rose Gold theme, I've been using the Rosie for Autograph Liquid Liner on a daily basis for the last month or so. It's one of the nicest eyeliner pens I've tried; it doesn't dry out throughout the day and it lasts a good eight hours before needing any touch ups. The whole Rosie for Autograph range seems really impressive so I'm keen to try more. I got the Soap & Glory mascara at Christmas but I haven't used it yet - i'll definitely be giving it a try soon! 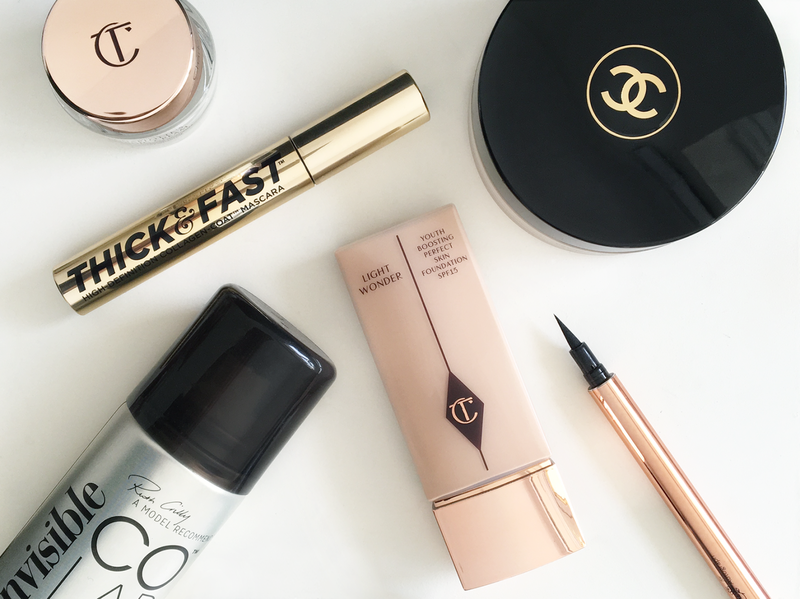 I also really want to try some Charlotte Tilbury products, the foundation sounds lovely!